After the bumper load of Wii titles Ubisoft have already announced, one rumour has today been put to rest. IGN have posted an article that confirms the existence of a Wii adaptation of Prince of Persia. 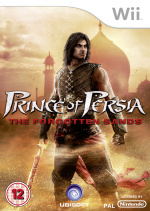 "I can confirm that a game based on the popular Prince of Persia franchise is one of many titles Ubisoft has in development for Nintendo's Wii," a spokesperson for Ubisoft told IGN today. "At this time we can not provide an official date for the game or any additional information about it." Although the game is now confirmed, it will not be a launch title. In fact, we'd expect Prince of Persia Wii to be released around Spring/Summer 2007.